China is the world¿s second largest consumer of commercial energy and is therefore a significant contributor to atmospheric pollution. It is becoming a major player in global and regional markets for energy products, services and investment. 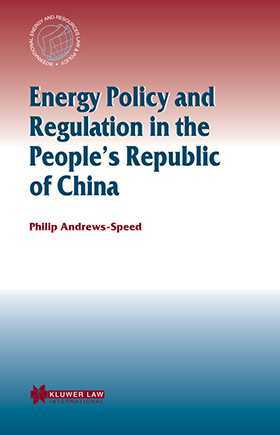 This book provides an overview of the formulation and implementation of energy policy in China. Part One provides background information on China¿s energy sector. Part Two examines the nature of China¿s energy policy and of the policy-making process, with examples drawn from the coal and natural gas sectors, as well as from the government¿s drive to promote energy conservation and energy efficiency. Part Three focuses on recent efforts to reform the energy sector in China and to regulate it more effectively, paying particular attention to the electrical power sector and to small-scale coal mines. Part Four evaluates, from the perspective of the citizen, policy relating to the electrical power sector and to the closure of small-scale coal mines. Part Five addresses the international dimensions of China¿s energy policy, with accounts of both inward and outward investment, and of the international political implications. About the author: Dr Philip Andrews-Speed is Director of the Centre for Energy, Petroleum and Mineral Law and Policy at the University of Dundee, Scotland. He spent fourteen years as a geologist in the international mining and petroleum industries before coming to the Centre in 1994, gaining an LLM in Energy Law and Policy, and joining the academic staff.